SALE! 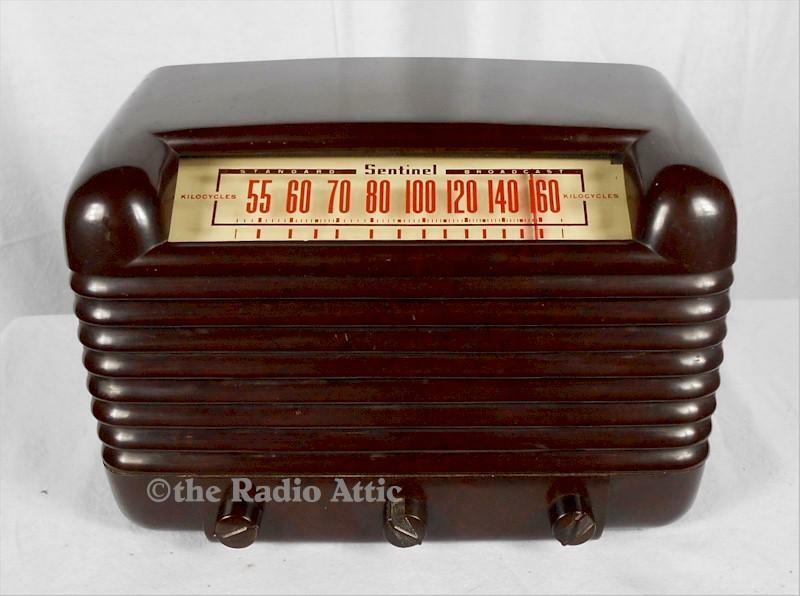 The Sentinel Radio Corp. was located in Evanston, Illinois, and manufactured radios, televisions and phonographs from 1930 to 1957. Some brands were Erla, Wings and Musicaire which were sold in Coast to Coast stores. This six-tube, AM only Bakelite radio has had all of the capacitors replaced, along with resistors and tubes checked and replaced as needed. The radio utilizes an internal loop antenna and receives the AM band with sensitivity and volume. The case has no cracks and has been polished. A really nice radio at a great price! 11-1/2"W x 7-1/2"H x 6"D. Was $249.00, now $139.00.